If your summer includes canning, you will love this book! Canadian author, Yvonne Tremblay, spent summers on a farm in Saskatchewan where canning was a normal part of growing up. "We want to capture summer tastes to savor in the off-season. We want to reconnect with some of the simpler things in life, and feed our souls too. We want to give presents that reflect a part of ourselves. We love homemade. We love bread and jam." 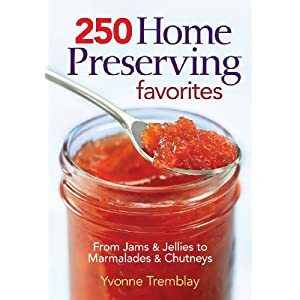 This cookbook is so detailed with simple to understand instructions, mouth-watering recipes accompanied by fabulous photos of jams, jellies, marmalades, conserves, fruit butters and chutneys. 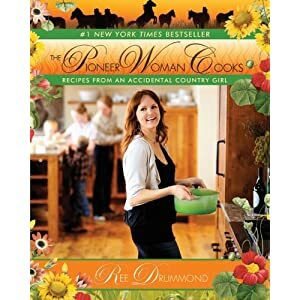 Have you heard of the modern Pioneer Woman? "I love cooking. I love raising a family. And I love country life. It isn't worry free or cushy. It isn't seamless, easy or without challenges. But it's perfect for me....It's a daily reminder of a simpler time-a time when folks worked the land, when take-out food was the exception, not the rule, and when decency, kindness, and hard work were the measure of a person's success..."